The Goldfinch by Donna Tartt is a wildly popular Pulitzer Prize winning book, it has been read by millions but it seems to divide opinion. People complain about it’s 864 page length and sometimes unnecessary winding descriptions. 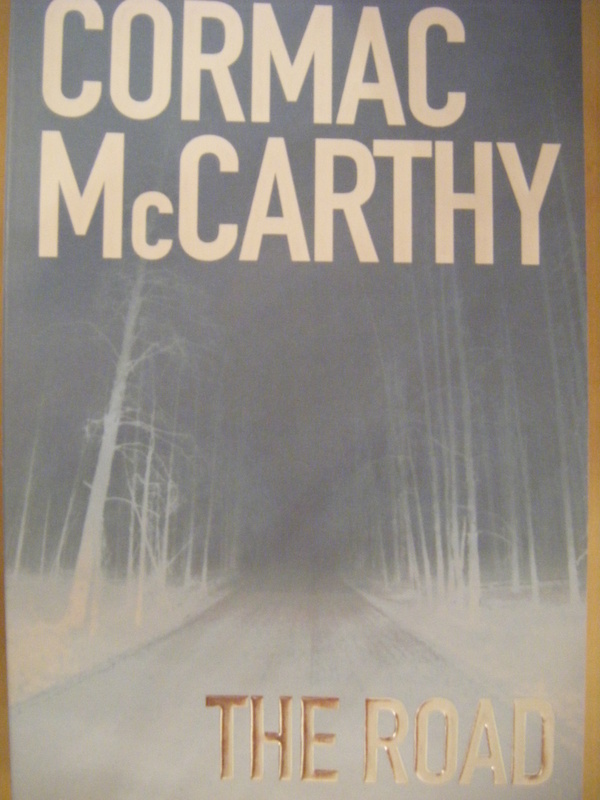 Others have issues with the plot itself and the philosophical notions which become more apparent as the book develops. In stark contrast to these views, I loved this book. It was one of the few books I have read recently where time disappeared, where I was completely engrossed in the life of Theodore Decker. It is a book with an explosive start(no pun intended) and slowly drifts along, describing different periods in Theo’s troubled life. I think this book is very much a Dickensian style novel where one could draw comparisons between Pip in Dickens Great Expectations and Theo in this book, both the unwanted boys who must fight every inch to survive and are granted one unbelievable piece of good luck each to form their respective lives. The book has been panned by many of the literary critics as a children’s book or as an example of the watered down version of literature that is being produced nowadays. I strongly believe this is complete nonsense and this is just another example of the book snobbery that exists. There is a fantastic article on The Godlfinch and why Tartt has been criticized so heavily here. A brief summary of the book; Theo is alone in life, his mother dies in a terrorist explosion in an art museum in New York. He lacks direction and guidance of any sort and is lost in life. 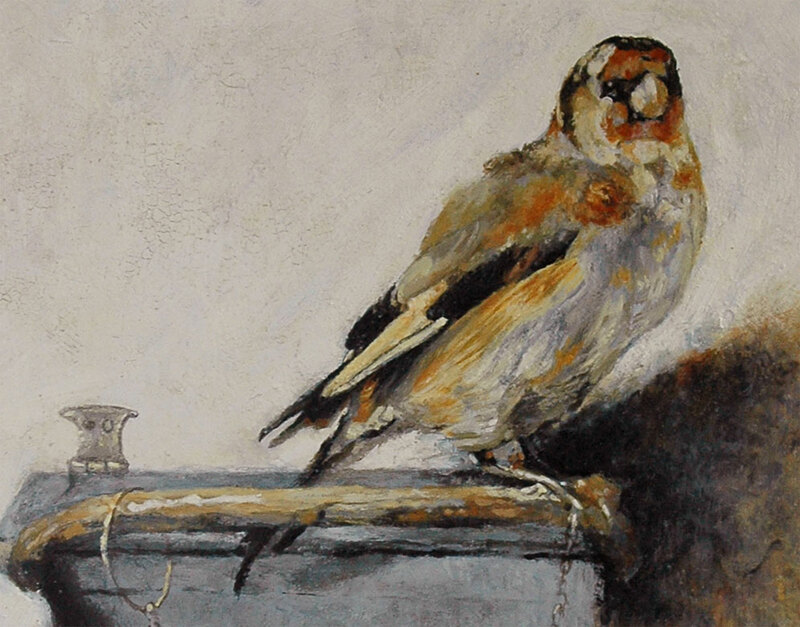 He has one constant comfort though, he escaped with Carel Fabritius’ masterpiece The Goldfinch during the explosion. This painting becomes the centerpiece of the story, it is the source of worry and strength to Theo at different points in his troubled life. The book is divided up into different periods in Theo’s life, this was an aspect of the book I enjoyed, he began life as a loving son who worshipped his mother and despised his feckless father. He then began an adopted life living a wealthy family in New York once his mother passed. The third period of his life was the most fascinating in my opinion, Theo goes out to Las Vegas and becomes friends with a kindred lonely spirit in the form of Boris, a hard drinking, hard living boy whose impulses often lead his astray. The final period focuses on Theo’s adult life as he copes with drug addiction and depression and unrelenting guilt over the painting and his relationship with his father. The book meanders off point quite a bit, the main story is that Theo has this masterpiece painting in his closet which is priceless and is wanted by the American government badly. There is a huge investigation into the whereabouts of the picture. As time passes the worse the crime becomes for Theo. Then the whole painting story takes a back seat for three or four hundred pages. The book focuses on Theo’s troubled relationship with an abusive and absent father, it delves into the day to day misadventures of Theo and Boris as they drink and rob their way through their adolescence. It can be annoying at times because as the reader you are interested in Theo’s character but at the same time you get little or no information about the painting or what the protagonist intends to do with it. The ending of the book is a satisfying one, I was dreading an ambiguous or confusing conclusion which tarnishes the books promising development but alas this did not happen. The last few pages of the book are philosophical and spiritual. Tartt makes some interesting points on life and people’s natural desire to pursue their impulses. I think I will read this passage again at another stage and fully digest it’s intentions but it certainly was a musing which resonated strongly with me. Tartt describes the Goldfinch painting in these final pages and describes some of the interpretations of the artists intentions. The painting depicts a goldfinch tied to it’s feeder. It is a sad and cruel picture but holds such dignity also. Theo muses over why Fabritius painted the Goldlfinch in the first place and wonders ‘And if they say it is trues-if every great painting is really a self portrait- what, if anything, is Fabritius saying about himself?’ I loved this line especially. I frequently looked at the portrait provided in the book and wondered myself at the intention of the painting. It is a despairing and beautiful painting which is somehow linked to Theo himself- the captive who can never escape it’s chains. It is a fantastic book which I will read again at some point in the future. Certainly a book I hope will stand the test of literary time. Did you love or loathe The Goldfinch? Please leave a comment, I’d love to hear your view. I think I might order a reproduction of The Goldfinch painting myself to ponder over from time to time. Once I opened Maus by Art Spiegelman I could not close I finished the whole edition. 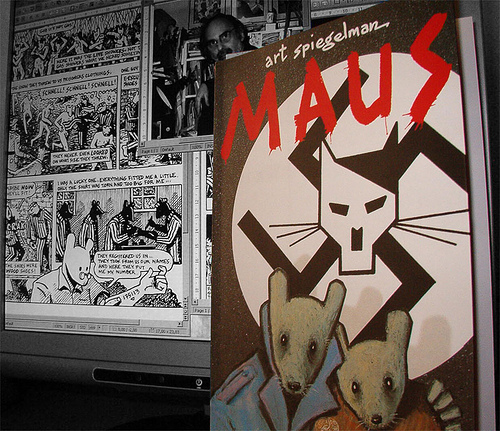 I read the complete Maus, where both of Spiegelman’s books were compiled together. This book was the first graphic novel to win the Pulitzer prize and it rightly deserves it’s place among the greats. The story revolves around Art and his father Vladek, who is a survivor of the concentration camp of Auschwitz. Vladek tells the harrowing tale of his family’s persecution in Poland and the horror’s they endured under the persecution of the Nazi’s. 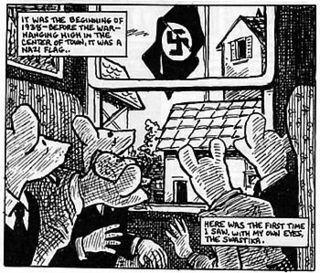 It is a graphic novel, where the Jews are portrayed as mice, the Germans as cats, the poles as Pigs and the Americans as dogs. I know there is controversy in Poland with Maus as they were deeply offended to be portrayed as pigs, they come across as cruel as the Nazi’s in the book if I’m being honest. I have become somewhat fatigued with the whole wartime stories genre lately, it seems nowadays that every second novel is based around the world wars or a conflict in general. This book was different and refreshing. The book portrays the horror of the Holocaust but also the complicated relationship that exists between Vladek and his son Art. Art is trying to piece together the story of his fathers experience during the war for his comic book.I enjoyed this part more than the war time extracts as it acknowledges to the reader the process by which Art put together Maus and the troubles he encountered on the way. His father is a cantankerous character and Art struggles with his peculiarities and his failing health. I laughed at the many instances where they were embroiled in petty fights, that only exist within a family over the simplest of subjects. Spiegelman’s drawings are simplistic but effective, the content of the story itself is powerful and moving therefore the illustrations did not need to be detailed in that regard. There was no need for the blood and guts approach that is present in most war novels or films His skill was to compile a graphic novel which was clear and to the point, the story jumps from present to past seamlessly. I was amazed at the complex relationship that existed between father and son. They seemed to be stuck in two separate worlds , but a strong bond existed between the two. This book is a must read for everyone. A friend commented once he saw that I was reading Maus that I was trying to relive my youth reading comics again. This book is a graphic novel of course but the content and storytelling in it is as powerful as any other literature on the Holocuast. I was captivated by the misery and cruelty that existed within the tale and found great amusement in the arguments which took place between father and son for comic relief. A moving and brilliant piece of writing.